ATG provides a utility called CIM (Configuration and Installation Manager) to configure your ATG and CRS Installation. 3. Type cim.bat to start the cim utility. At any point, if you make a mistake, you can press "m" to restart the configuration. 4. Press "R" and set the password to Welcome1. 5. Press "P" for product selection. Select the option 9. For multiple selections, use space. In our case, we have used the options 2 and 9, as we want REST services also. Multiple selections can be separated by space. See below screenshot. Selecting this will reload the same screen, with selections marked with asterisk (*) sign. Press D to move ahead. 6. Next screen will ask for add-ons. 7. In "Commerce Reference Store" add-ons, select "Storefront Demo Application" and "Mobile Reference Store". Press D once done. 8. For data source selection, select "Switching Data Source". 9. Next, for index type selection, select "Index by SKU". 10. 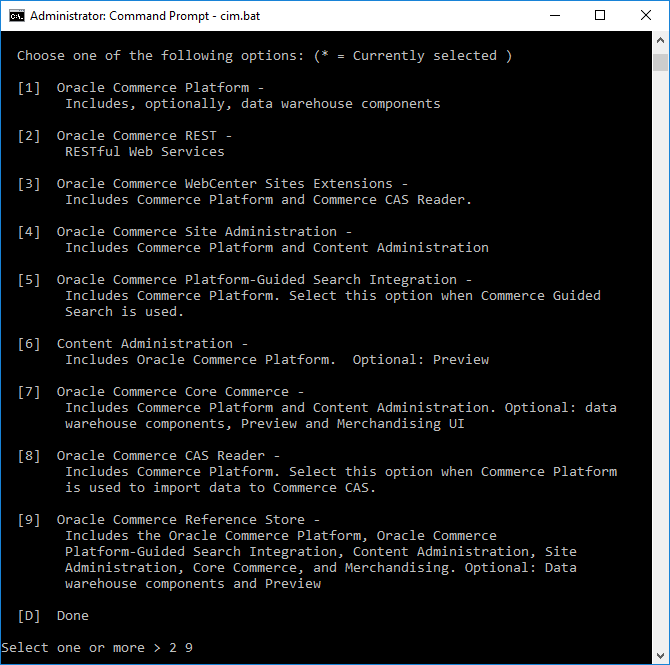 Skip the Commerce Reference Store Add-Ons by directly pressing "D". 11. CIM will come back to the main screen. Press "A" for application server. 12. Press 2 for Weblogic. 15. For URL to admin server, press Enter for default selection. 16. 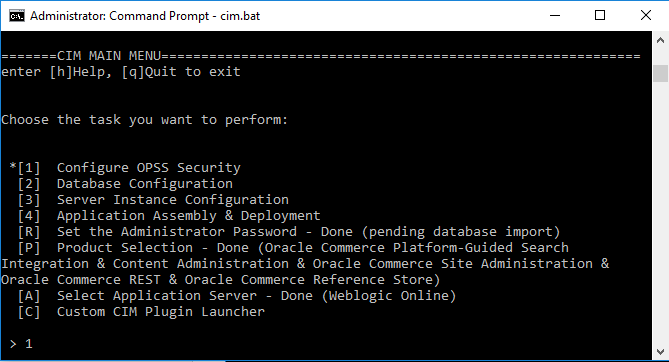 CIM will ask for weblogic username and password. Enter weblogic and Welcome1 respectively. 17. CIM will ask for "Perform Validation". 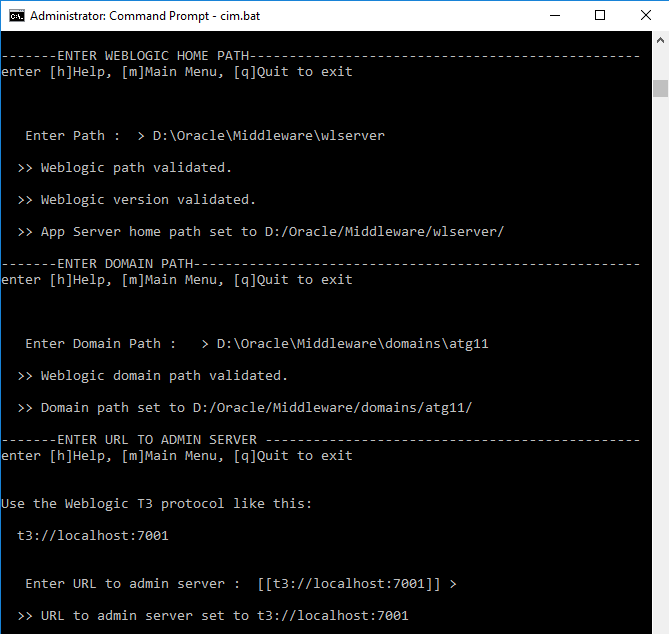 Before doing this, start your weblogic server. 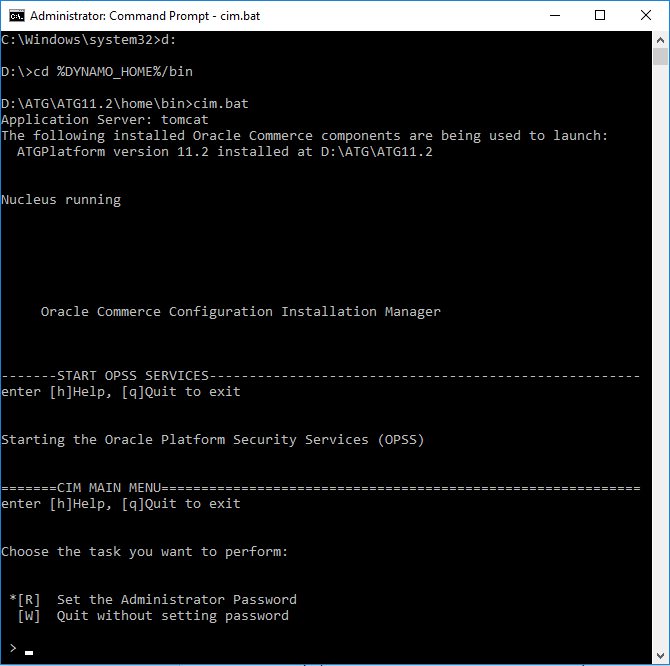 Go to D:\Oracle\Middleware\domains\atg11 and double click on startWebLogic.cmd. This will start your weblogic server. Now, go back to CIM and type "P" to perform validation. 18. After successful validation, control comes back to the main menu with new options. 20. Next, Press "1" and then press Enter to accept default path for OPSS directory [D:/ATG/ATG11.2/home/security]. 21. Press "3" for workbench credentials. Enter admin/admin123 for username and password respectively. 22. Press "4" for deploying configuration files. 23. Complete this process. CIM will come back to main menu. 24. 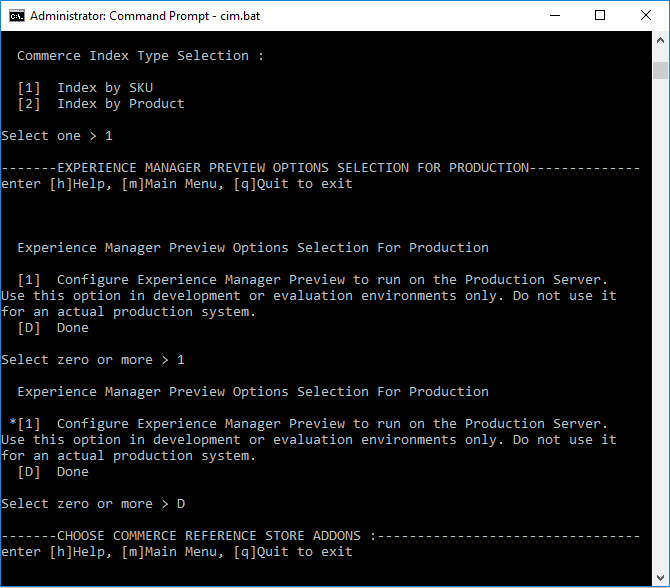 Select "2" for database configuration. 25. Select "P" for publishing. Press "C" for connection details. 26. 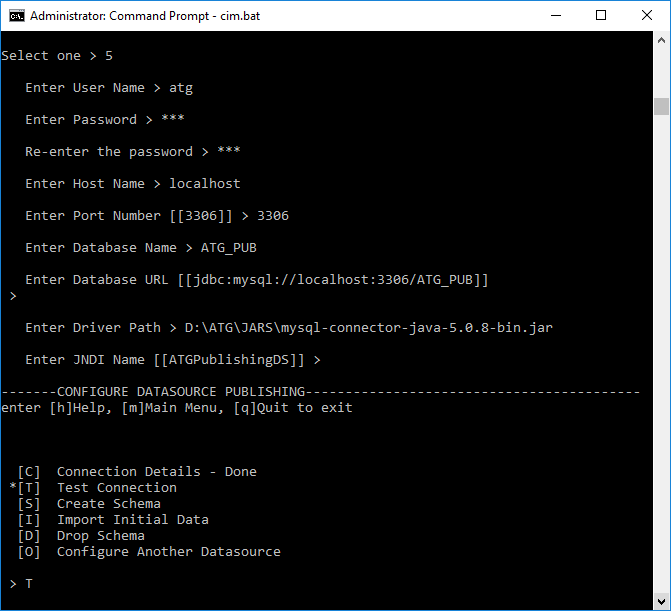 Now, minimize CIM, and create a folder "JARS" inside D:\ATG. 28. 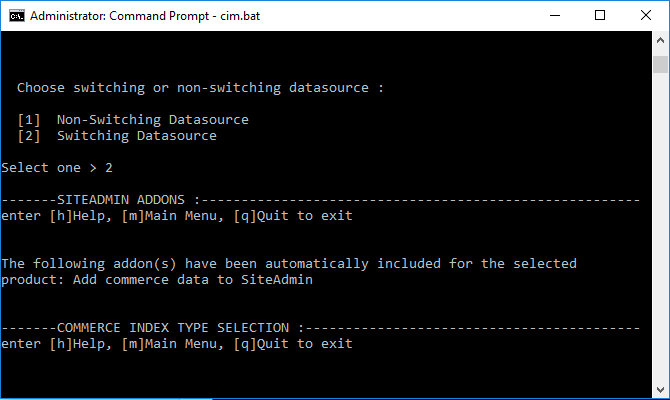 Come back to CIM and select "5" for MYSQL. 30. Enter the database name as ATG_PUB. 31. For Database URL, press enter for default value. 33. For JNDI, accept default value by pressing Enter. 34. Press T for testing the connection. CIM will give a message if it is successful. In case, the connection is unsuccessful, make sure MySQL service is running on your system, and retry. 35. Press "S" for create schema, followed by "C" for create. Now wait for a while for schema to be created. 36. Once schema is created, press "I" for import data. Press "I" again. 37. 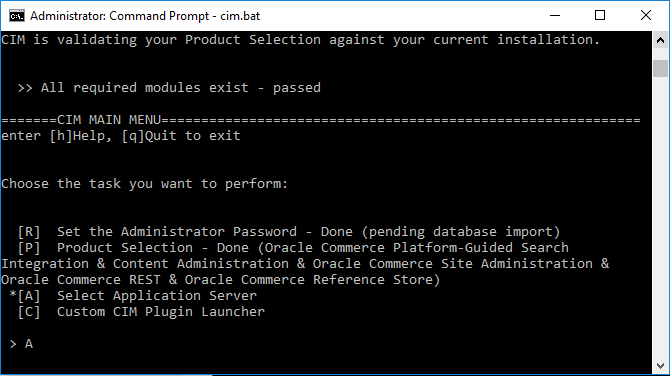 CIM will ask for setting passwords for "merchandising" and "admin" users. Set the password to Welcome1 for both. 38. Wait for the data to be imported. 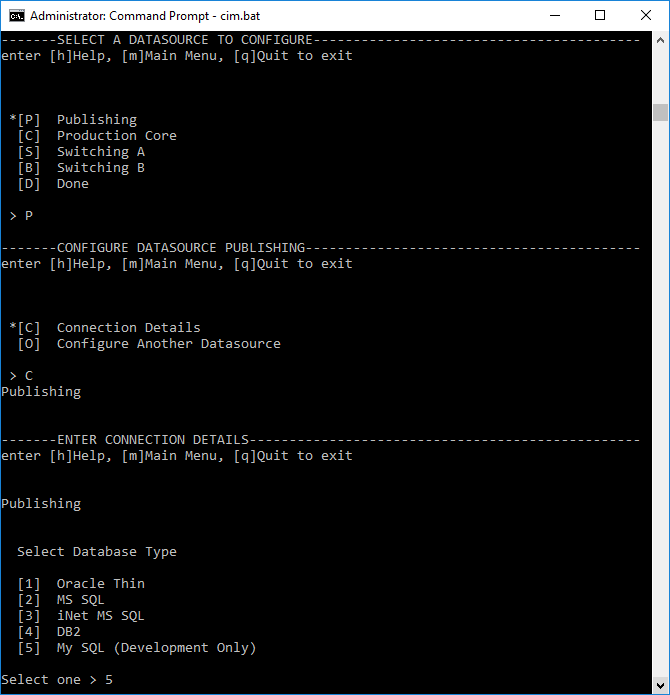 Once the data is imported, Press "O" for configuring another Datasource. Repeat steps 29-38 for other schemas too (ATG_CORE, ATG_CAT_A, ATG_CAT_B). Username and password will continue to be atg/atg. 39. After all the schemas have been configured, press "D". 40. CIM will come back to the main menu. Press "3" for "Server Instance Configuration". 41. Press "P" for Publishing Server. 42. Again, press "P" for Publishing Server General Configuration. 43. Press Enter for default values, fill in "localhost" for hostname values when necessary. 44. Once this is done, Press "I" for Instance Management. 46. 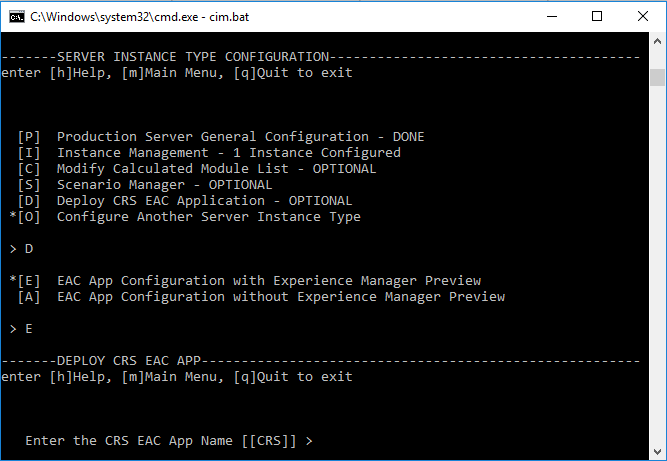 After Instance Management completes, Press "D" for deploying CRS application. a) Create a folder D:/Endeca/Apps in Windows. B) Come back to CIM and select default values. Change paths wherever necessary. D) Finally, select the options for DEPLOY and then INITIALIZE. 47. Press "A" for add server instance. 48. Press "1". Next, select default value by pressing Enter. 49. For choosing Default/Custom port binding, choose "Custom Port Binding". 50. Select "2" for port 7103. Select default values by pressing Enter. 51. Press "O" to for configuration of another server. Repeat the same steps as above, with port 7003 for Production Server. 52. Press "O", then Press "D". Now one of each server (PROD and PUBLISHING) are configured. 53. Press "4" for application assembly and deployment. 54. Press "A" for production lockserver. Select default values by pressing Enter. 56. Once deployment is done, press "R" for registering datasources on weblogic. 57. 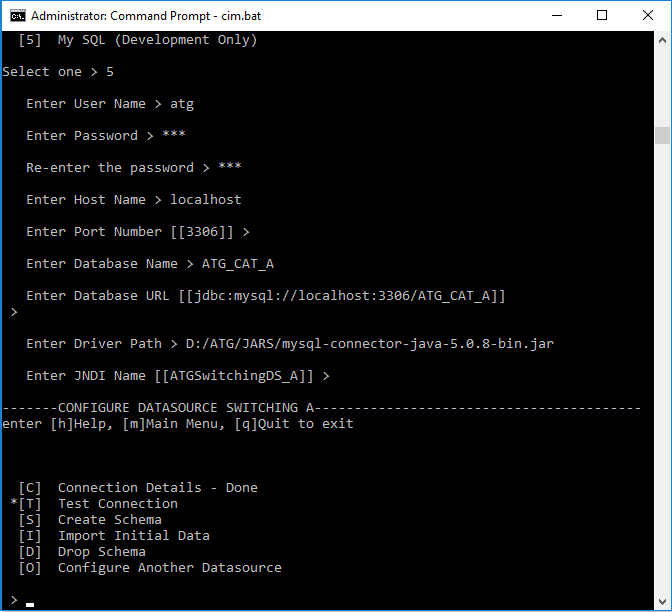 Press "A" for adding database driver to classpath. Press "U". 58. Press "P" for post deployment actions on Weblogic. Press keys as required. 59. 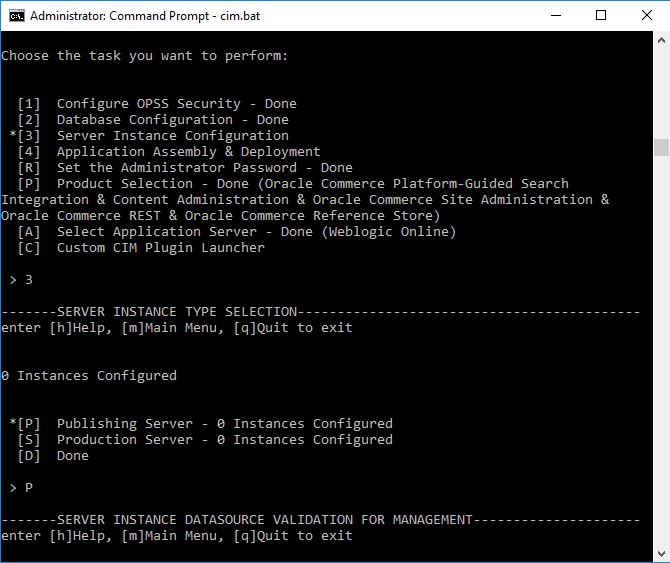 Press "O" for configuring another instance, and repeat these steps for configuring "PUBLISHING" lockserver. 60. Press "D" after both servers are configured. Press "q" to quit. 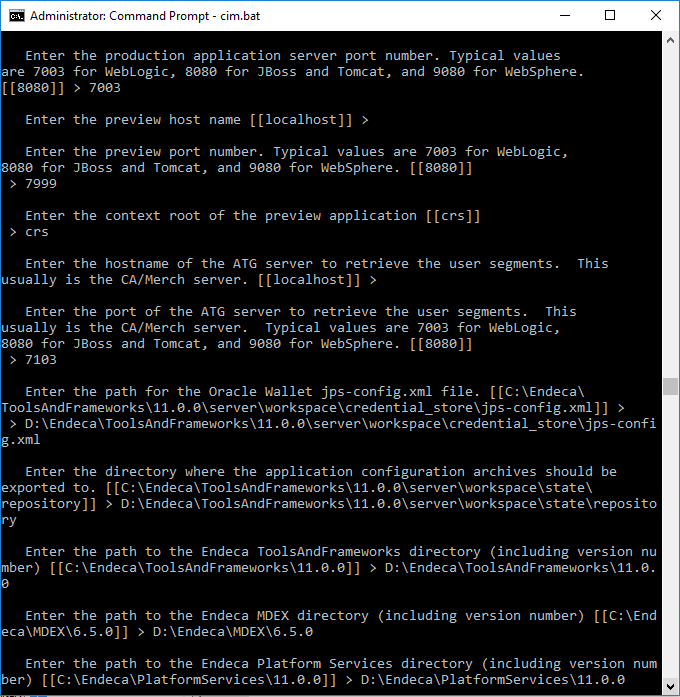 When i am trying to initialize my Endeca app it fails giving unexpected error detail though i was able to deploy the application. What could be the reason for it? Any alternatives? You can re-initialize your endeca app. 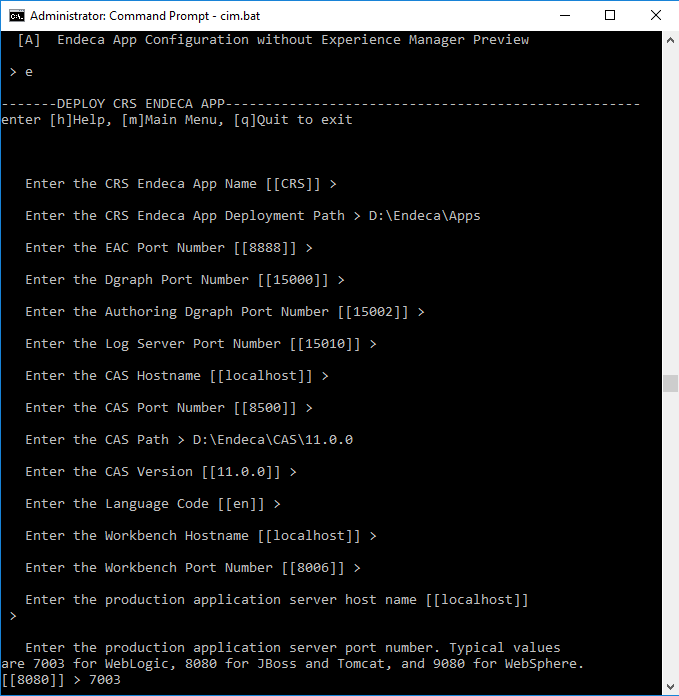 Go to D:\Endeca\Apps\CRS\Control via command prompt.